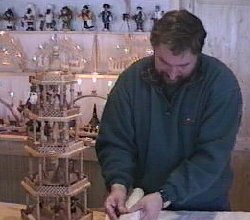 The Erzgebirge Region is world-famous for its wooden figurine handicraftsmen. 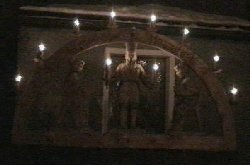 It is known as "German Christmasland." 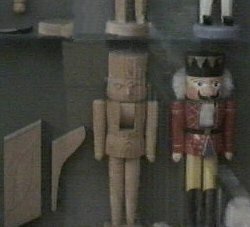 Nutcrackers, Christmas Pyramids, Window Lights and other hand-made wooden items are crafted with unparalleled workmanship. 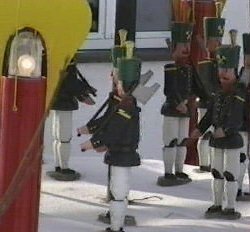 We visited Seiffen just after New Years, so every town square, every window in homes and businesses were still bedecked with white lights, nutcrackers, Christmas pyramids, etc. 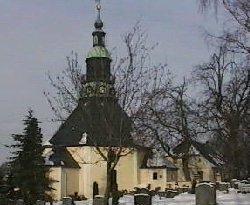 The church in Seiffen. 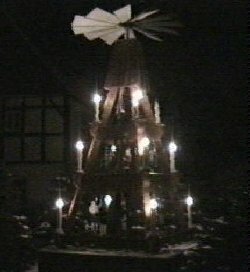 Note that the shape is like a pyramid, perhaps inspiring the wooden Christmas pyramids.